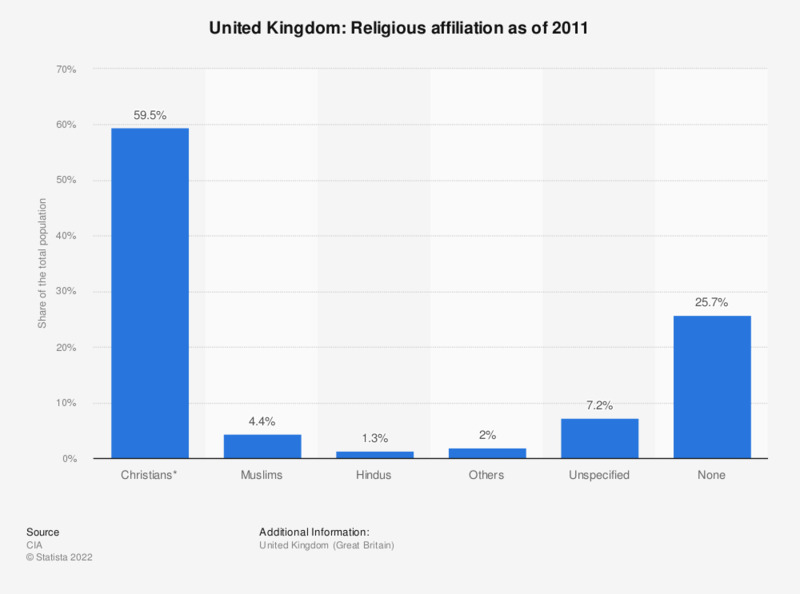 The statistic shows religion membership in the United Kingdom in 2011. In 2011, 71.6 percent of the total population of the UK identified themselves as Christians. *includes Anglican, Roman Catholics, Presbyterians, Methodists.